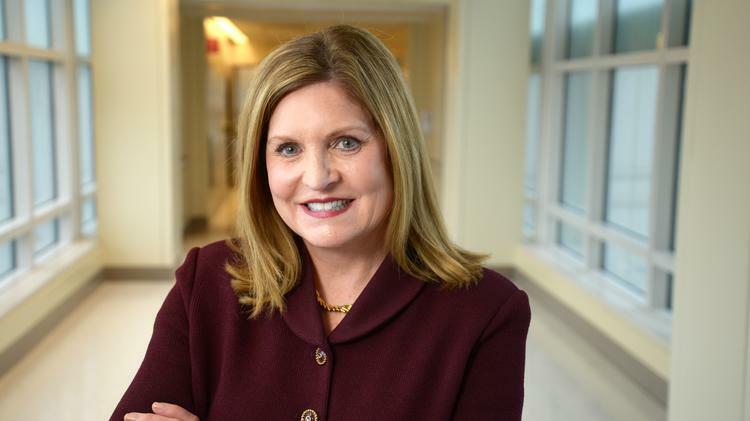 Hospital CEO Ann Madden Rice began learning how hospitals function at an early age. Her mother was a nurse. And as a teen, Rice worked in a hospital kitchen in her hometown of Mason City, Iowa. That formative experience put Rice on a trajectory to lead UC Davis Medical Center, which has more than 600 beds and a $1.9 billion budget. Rice has been CEO of UC Davis Medical Center for more than 10 years. Her leadership role there was recognized in late January by the Sacramento Metro Chamber of Commerce, which presented Rice with its Businesswoman of the Year Award. Chamber CEO Peter Tateishi said Rice was selected because she’s done “a tremendous job” leading one of the area’s largest health systems and overseeing its expansion. Rice said the health system’s financial performance has been “stable” in recent years. UC Davis Medical Center reported net income of $58.8 million in 2016, up from $55.2 million in 2015. Total operating revenue was $1.9 billion in 2016, up 12.3 percent from 2015. Last year, the health system experienced growth in its specialty pharmacy program and continued revenue growth from Medi-Cal as it was expanded under the Affordable Care Act, according to its financial report. “We feel that we are well positioned to continue to be successful,” Rice said. But even with success comes challenges. Like all health systems, UC Davis Health is waiting to see how the Trump administration and Congress will address the ACA. President Donald Trump has promised to repeal the law. Systems like UC Davis Health fear it will be eliminated without an adequate replacement. Up to 5 million people in California could be affected by a repeal. And according to the UC Berkeley Center for Labor Research and Education, about 209,000 jobs statewide, 7,000 of which are in the Sacramento area, could be lost. UC Davis Health is working with legislators, voicing the drastic impacts it fears if Obamacare is repealed without a replacement. Rice and other officials are participating in discussions through the California Hospital Association, of which Rice is board chairwoman. Before arriving at UC Davis Medical Center in 2006, Rice was chief operating officer at University of Iowa Hospitals and Clinics for four years. She joined that institution in 1999 as chief financial officer. Prior to that, she was vice president and CFO of Mary Greeley Medical Center in Ames, Iowa. Growing up in Iowa, Rice didn’t have to look far for a hard-working role model. Her mother, a nurse for 50 years, worked during Rice’s entire childhood. “She was so devoted to her patients and role modeled balancing a career she loved with the demands of raising a family,” Rice said. Even with Rice’s early induction into the health care industry, much of her academic study was focused on finance. She has a master’s in accounting from University of Iowa and worked as a financial analyst for University of Iowa Hospitals and Clinics while pursuing that degree during the early 1980s. Rice said her financial background has been invaluable. “As reimbursement for health care has gotten tighter and tighter over the years, it’s helped me make some decisions about how we best allocate capital to do the most that we can for the community,” Rice said. Martha Lofgren, a Sacramento public policy attorney who served on the Metro Chamber board with Rice, said besides leading one of the area’s largest health systems, Rice engages with the business community on economic development. As board chairwoman of the former Sacramento Area Commerce & Trade Organization, Rice worked to expand entrepreneurial opportunities around the medical center, Lofgren said. “They had quite a bit of land there they were looking at ways to leverage for the business community,” Lofgren said. Lofgren also said Rice was active in finding ways to use stem cell research to increase the university’s presence, both academically and as a business opportunity.